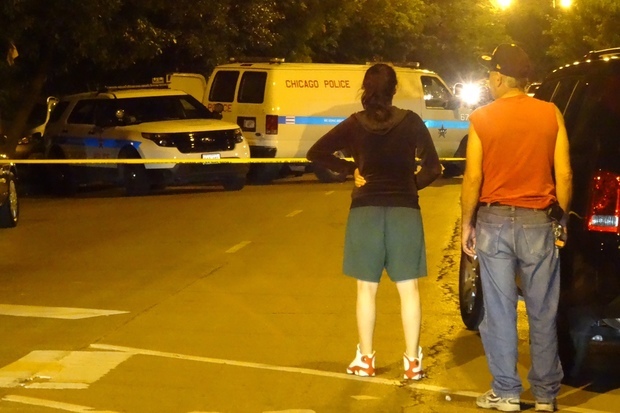 CHICAGO — A man died wile in police custody in Brighton Park, according to police. Officers were responding to a report of burglary at 1:25 a.m. Monday in the 3000 block of West Pershing Road when they saw the suspected burglar, according to police. The man was sweating heavily and had labored breathing, according to police. Officers notified paramedics but the man became unresponsive and died, according to police. Police were still investigating the man's death, according to police.